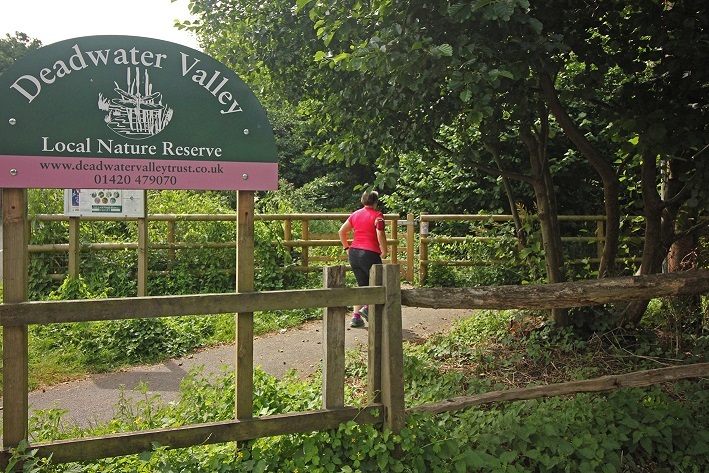 The Deadwater Valley Local Nature Reserve occupies a narrowing corridor of land along the River Deadwater from the Walldown Road bridge downstream to the confluence with the River Wey, a block of mixed woodland known as Alexandra Park and an area of land around Woodlea School, including the Walldown Scheduled Ancient Monument. The site lies within the former Woolmer Forest, as does the whole of Whitehill. The last deciduous woodlands of the forest were felled in 1578 and the area around Walldown and the River Deadwater was enclosed in about 1864. The various banks which cross the site date from about this time. Prior to this the area was mostly open heathland. As a remnant of once extensive Woolmer Forest it provides an important corridor linking SSSI's Woolmer to the south and Broxhead to the north. It provides an area of green adjacent to the developing town of Bordon Whitehill. Its range of habitats within a comparatively small area provides, through appropriate conservation management, a site of great biodiversity value, a place for informal recreation and an important educational resource. 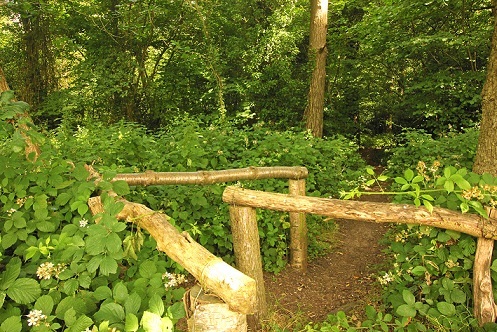 The nature reserve comprises of a number of compartments which are owned by Hampshire County Council, East Hampshire District Council and Whitehill Town Council. The entire nature reserve is managed by the Deadwater Valley Trust through a service level agreement in conjunction with a management plan. Further details of the trusts activities and events can be found here.